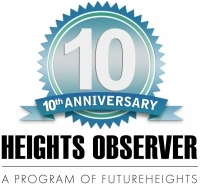 Heights Bicycle Coalition (HBC) traces its history back to May 2010, after an application submitted to the League of American Bicyclists resulted in Cleveland Heights being recognized with an Honorable Mention as a Bicycle Friendly Community. The goals of HBC were to help make the Heights even more bicycle friendly and inspire residents to use bicycles for commuting and recreation. To that end, in October 2010, HBC leaders met with officials from University Circle Inc. (UCI) and the city of Cleveland Heights to ask for improved bicycle connectivity between the Heights and University Circle, which has had some of the largest employment growth in the state of Ohio. Bicycle riders in the Heights have wintertime challenges to overcome. One is keeping themselves warm and safe in cold and snowy weather, and another is protecting their bikes from harsh elements. Luckily, our neighborhood bike stores have a wealth of knowledge, and a quick visit can provide good advice on how to keep rolling during winter. Both Mike Bednarz, of Cain Park Bicycle, and John Reinker, of Cycle Fitness and Sport, agree: salt, grime and moisture will harm your bike. Reinker suggests that people who commute by bicycle year-round may benefit from using an inexpensive bike and keeping the bike chain clean and lubed so it will be functional as long as possible. Yet some of his customers opt for the opposite: riding higher-end bicycles that have fewer components exposed. The Heights continues to become more bicycle- and pedestrian-friendly, and city of Cleveland Heights staff earned many grants to help pay for important recent improvements. Substantial developments in 2018 included the completion of the Cedar Glen Parkway Multipurpose Pathway, first planned in 2009; the installation of buffered bicycle lanes on North Park Boulevard, thanks to a Northeast Ohio Areawide Coordinating Agency (NOACA) Transportation for Livable Communities Initiative (TLCI) implementation grant of $30,000; and the inclusion of sharrows (“share the road” symbols) painted onto Cedar Road as part of the resurfacing project, and onto Mayfield Road as part of the city’s annual road striping program. Lanes on Cedar Road were also painted to move traffic further away from pedestrians walking on the sidewalks. NOACA installed a counter at the top of Cedar Hill (the intersection of Cedar Road, Euclid Heights Boulevard, Overlook Road and Harcourt Drive) that records pedestrian, bicycle and vehicular traffic. The counter NOACA previously placed on Edgehill Road, between Overlook and Murray Hill roads, recorded almost a quarter million walkers in its first year! Looking for a way to get some exercise with like-minded people, while seeing many of the great sights the area has to offer? The Heights Bicycle Coalition (HBC) frequently hosts group rides, including the two September rides below. Hop on your bike and join in the fun! A great way to enjoy the Heritage Home and Garden Tour is by bicycle. Parking is easy when all you need is a patch of grass! Join Heights Community Congress and HBC for an afternoon of biking and touring. A good way to become more comfortable with riding a bicycle around town and beyond is to join a group ride. Group rides are also a way to meet like-minded people. Heights Bicycle Coalition (HBC) is just one group that plans bicycle rides, and Cleveland Heights is steadily adding bicycle infrastructure to make bicycling more comfortable and safe. Infrastructure improvements: With the multipurpose trail on the south side of Cedar Glen Parkway now complete, bicyclists and pedestrians have an excellent way to separate themselves from motorized traffic along a heavily used roadway. This summer, the bicycle lanes on North Park Boulevard between Harcourt and Shelburne roads are getting painted buffers, which further separate bicyclists and cars. Going eastbound on North Park, a “bike box” has been added at North Woodland Road. Watch for signage to come soon for how to use this feature, which makes the intersection easier to navigate for all users of the road. On Saturday, July 14, join HBC for “Lenny’s Tour de Cleveland Heights.” Meet at the DeLisle Educational Center, at 4898 Superior Road in Cleveland Heights, at 10 a.m. for a ride around town, led by Lenny Horowitz. On May 9, Cleveland Heights reached a major milestone when city council passed a Complete and Green Streets Policy. This policy addresses the livability and environmental needs of our community with multipurpose streets that better accommodate walkers, cyclists and public transportation. The changes called for in the policy will also reduce the environmental impact of our transportation infrastructure through green strategies to reduce waste, stormwater runoff and energy consumption. Getting this policy enacted has taken years. It builds on Cleveland Heights’ already-existing strengths as a bikeable and walkable community. Embracing the policy is important to the long-term viability and success of Cleveland Heights. Results will be increasingly visible in coming years. Heights Bicycle Coalition's (HBC) goal has been to set a standard that will be recognized for excellence nationally and globally. Since 2010, Cleveland Heights has joined with cities nationwide to celebrate May as National Bike Month. Activities take place in and around Cleveland Heights and University Heights throughout the month, including Bike to Work Week from May 15 to 18, and the Ride of Silence—a memorial that honors those injured or killed while riding their bicycles—on May 16. 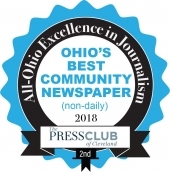 "Biking has been on the rise in the past few years in our community and across Northeast Ohio," said Steve Reinhardt, Cleveland Heights resident and head of Heights Bicycle Coalition (HBC), which plays a major role in organizing Bike Month in Cleveland Heights. "Bike Month is one way we can spread the word about the safety of cycling, the health benefits of riding and the fun that biking can provide." On May 9, all Cleveland Heights-University Heights public schools and some private and parochial schools will take part in Walk or Bike to School Day. The Heights Bicycle Coalition (HBC) encourages all to come to its annual meeting for an update on progress in 2017, and plans for 2018, to make the Heights more bicycle- and pedestrian-friendly. The meeting will take place on Sunday, April 8, 4–6 p.m., at Heights Arts, 2175 Lee Road. HBC President Steve Reinhardt will give an overview of the advocacy group’s programs and plans to fulfill its mission “to educate and encourage Heights community members to use bicycles as a sustainable and healthy form of transportation and recreation.”Reinhardt will also introduce committee chairs, including Deb Franke, activities and events; Evan Guar, safety; and Jamie Babb, communications. The annual Heights Bicycle Coalition's (HBC) Holiday Party, on Dec. 3, 6–8 p.m., will be a celebration of cycling, offering attendees a chance to meet other cyclists and learn about a specific aspect of the sport. All interested bicycle riders are invited. The party will be held at The Fairmount Bar and Restaurant, 2448 Fairmount Blvd. The event will be held in the side room, where light appetizers will be provided. Other menu bar items will be available for purchase. To make the most of its limited Safe Routes to School funding, Cleveland Heights looked to the example of the Chagrin Falls Safe Routes to School program. Its founder said that assembling a bike fleet to teach students safe cycling was the single best thing their program had done. With that endorsement, Cleveland Heights city employee Jennifer Kuzma worked to purchase a trailer to convey bikes and other gear from school to school. The fleet includes 24 bikes, plus helmets and a compressor to fill tires. Heights Bicycle Coalition (HBC) has adopted “Better by Bike” as a theme for many recommended destinations and rides. It’s a theme that works throughout the year, with the possible exception (in the view of some) of snowy and icy days. Indeed, riding a bicycle is one of the best ways to enjoy the vibrant colors and cooler temperatures of fall. To that end, the coalition is sponsoring some enticing rides in October. Longtime Heights resident Leonard (Lenny) Horowitz will show bicyclists his favorite recreational ride around the Heights. This 13-mile “Park to Park to Park Ride” starts at 9 a.m. on Sunday, Oct. 1, from the DeLisle Options Center parking lot at 14780 Superior Road, Cleveland Heights. The ride will wind through Cain, Cumberland and Forest Hill parks, circle the Forest Hill pond, then progress, primarily via side streets, toward Cedar Fairmount. The ride up Bellfield Avenue will connect to North Park Boulevard’s bike lanes and quiet streets en route to Hathaway Brown School, then return to DeLisle. Travelers in Cleveland Heights this summer will see new solar-powered speed feedback signs next to Canterbury, Roxboro and Oxford elementary schools, Monticello Middle School, and the Hebrew Academy. Exceeding the speed limit triggers impossible-to-ignore flashing lights, reminding drivers to slow down. These signs are a result of a collaboration between the city of Cleveland Heights, the Cleveland Heights-University Heights City School District, Heights Bicycle Coalition and others in the Safe Routes to School (SRTS) program. SRTS is a federal initiative to encourage walking and bicycling to school. Other improvements include new sidewalk curb ramps and crosswalks at the schools listed above, and new bike racks at some schools. Walkability is a strength of the Heights communities. We have sidewalks to schools, parks, shopping districts, arts and religious institutions. Cain Park has a packed performance schedule this summer. The July lineup caters to every taste and budget, from Stephen Stills and Judy Collins to Groundworks Dance Theater, Apollo’s Fire Baroque Orchestra and the Singing Angels. Some performances are free, but you can buy tickets for the others at the box office, online at the Cain Park website, or by calling 216-371-3000. July 7–9 brings the 40th anniversary Cain Park Arts Festival, considered one of the best fine arts and crafts festivals in the country. This juried art show targets an audience diverse in age, artistic background and affluence. The objective is to offer the best quality art in all price ranges. A great way to see a show or the art festival is to go by bike, because bicyclists can park right next to the ticket office. Cain Park (14591 Superior Road) is an easy-to-find destination for all who live in the Heights. One of the best ways to enjoy a host of summer activities and places in Northeast Ohio is to get there by bicycle. Heights Bicycle Coalition (HBC) has compiled a list of attractive rides offered by other organizations throughout the region. The bicycle advocacy organization also sponsors rides of its own, and is building a collection of "Better by Bike" online routes so people can safely and conveniently pedal to places and events on their own. Ohio motorists are now required by law to give 3 feet of clearance when passing bicyclists. House Bill 154 went into effect on March 21, after the legislature passed it and Gov. John Kasich signed the bill into law. The previous law required a safe passing distance for vehicles overtaking other vehicles, but did not specify what that distance would be and did not mention bicycles specifically. Defines the “safe distance” by which Ohio motorists must pass bicyclists as at least 3 feet. Permits any Ohio vehicle to proceed through an intersection after stopping and yielding right-of-way, when not detected by the device meant to move the signal from red to green. Heights Bicycle Coalition (HBC) will celebrate Roll Models and Holidays on Wednesday, Dec. 7, 7 p.m., at Nighttown (12383 Cedar Road, Cleveland Heights). The Heights community has dedicated and capable bicycle commuters. At this event, Heights bikers will talk about why they commute by bicycle and how they make it happen. The program will also provide information about year-round commuting gear and strategies to make bike commuting fun and rewarding. Concluding the evening is a sing-along to an updated version of "Jingle Bells." The holidays are wonderful, but putting food on the table is a challenge for some. You can do something about that! On Saturday, Nov. 19, starting at 10:30 a.m., be part of Cleveland’s fifth annual Cranksgiving, a food drive on two-wheels. Ride your bicycle to Cleveland Heights City Hall, 40 Severance Center. You’ll receive a map of grocery stories and a list of groceries to buy. You'll be encouraged to ride your bike to four stores and purchase food items totaling $15 (more or less) for donation. Everything purchased is intended to be hauled by bicycle, either in a bag, pannier, rack or trailer. A few hours after the start of the event, riders will return to city hall to divvy up the groceries for donation to Cleveland and Heights food banks and pantries. Have you noticed more kids bicycling to school this year, and more parents or siblings walking to school with younger children? Since fall 2010, Heights Bicycle Coalition (HBC) has been working with schools to promote Walk or Bike to School Day twice a year, once in the fall and again in the spring. 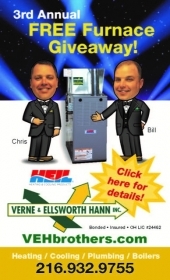 This year’s fall event will be held on Wednesday, Oct. 5. For several years, the Cleveland Heights-University Heights City School District has listed the two Walk or Bike to School Days on its calendar. Initially, HBC produced flyers for elementary and middle schools to distribute to families. For the past couple of years, the City of Cleveland Heights has produced the flyers for the schools, thanks to a grant from the Safe Routes to School program. For most people, summer is the most appealing time of year for bicycling. This summer, more people than ever are riding their bicycles around the Heights. Many people ride for recreation, or maybe to run short errands around town. But summer is a great time to try going longer distances or commuting by bicycle. For longer distances, you can go the whole way by bicycle, or combine public transit with bicycling. The best transit route may become much more convenient if you ride your bicycle to the nearest stop, load your bicycle onto the bike rack installed on all RTA buses, then unload and ride your bicycle from the stop nearest your ultimate destination. Heights Bicycle Coalition (HBC) is sponsoring a showing of “Inspired to Ride,” a stunning documentary about the inaugural TransAm Bike Race, held in 2014 on the TransAmerica Trail. The film will screen at Case Western Reserve University’s Strosacker Auditorium on Thursday, Feb. 4, at 7 p.m. The movie follows a handful of cyclists in the 2014 race, a 4,233-mile cross-country race from Astoria, Ore., to Yorktown, Va. The riders are entirely self-supported—they have no crew, no follow vehicles and no prize money waiting at the end. They ride 300 miles a day and rely solely on their fitness, meticulously chosen gear and mental fortitude. The athletes climb the Rockies, face winds in the Great Plains and switchbacks in the Appalachians—all for a pat on the back, potential bragging rights and a cold beer when it’s over. Join the Heights Bicycle Coalition (HBC) and community members for fun and relaxing bike rides in August. Cycling is a great way to expand your world, meet new people and have fun. All ride participants are asked to sign waivers; helmets are mandatory and bike locks are encouraged. You’ll need a bike light if you are pedaling in the dark. Aug. 1, 10 a.m. to noon: Back to the Farm, Back to Nature. If you want to join the growing number of Heights residents who use bicycles for short trips and exercise, this is the perfect time to start. If you plan to buy a bicycle, know what to look for to get the right bike for your needs. Local bike shops can help you find one in your price range, or, if you want to purchase a used bike, seek advice from a knowledgeable friend. Bicycles range from awful to awesome, and you will need help finding the right one for you. You will also need to know some good routes and basic rules of the road. The bike: If you want the health benefits of cruising to the coffee shop, around the neighborhood, or to work, you need a basic bike that is easy to mount and comfortable to ride. Bikes with “step through” frames do not have a top bar. These bikes are easy to mount, offer an upright riding position and have a well-cushioned seat. Handlebars are flat or sloped up, and the frames are lighter than an old-school bike. On May 4, for the fifth year in a row, Cleveland Heights City Council will pass a resolution declaring May Bike Month in the community. That bit of business will kick off numerous events in May highlighting the growth of bicycling in the city. May 6 is Walk or Bike to School Day. In the spring and fall, Walk or Bike to School Day encourages children and their parents to use the trip to school for some of the 60 minutes of exercise children need every day to be fit and ready to learn when they arrive in their classrooms. The dates are listed on the CH-UH City School District calendar and school websites. The City of Cleveland Heights uses some of the Safe Routes to School funds received last year from the Ohio Department of Transportation to produce flyers. Ruffing Montessori School also joins the fun. Winter cycling is cool. Sometimes it is actually cold. But, with the proper clothes and equipment, it is a great way to be outside and experience the awe and beauty of winter in both the city and on the trail. The hearty winter cyclists that keep the pedals turning all year long are brethren to skiers, ice skaters and ice fisherman, and use some of the same equipment. Warm mittens, snow boots and pants, parkas and goggles are all non-cycling specific clothing that are perfect for winter cycling. Then there is the bike; skinny tires are out, replaced by knobby or other specialty tires for needed traction in snow and ice, disc brakes are good for more consistent stopping power, and a hearty frame will better withstand lots of salt. Now that schools are back in session, school walking and bicycling programs are back too. The latest research indicates that regular, half-hour sessions of aerobic activity before school helped all young children become more attentive and less moody, and especially benefits those with attention deficit hyperactivity disorder (ADHD), possibly enabling them to reduce medication. Quite simply, exercise—such as walking or biking to school—improves students’ attention and academic skills. That’s one reason Heights Bicycle Coalition (HBC) has been promoting Walk or Bike to School days in the spring and fall, since 2010. Cleveland Heights-University Heights City School District now includes these dates on its calendar. This year, the Heights’s fall Walk or Bike to School Day is Wednesday, Oct. 8. This is also International Walk to School Day. Is it a revolution? Yes, a fun-loving, fender-equipped, wind-through-your-hair rolling revolution. More people are riding their bikes. They are going to work, school, the dollar store and the coffee shop. How is this happening? Regionally, the work is being driven by many organizations and leaders. Here in Cleveland Heights and University Heights, the Heights Bicycle Coalition (HBC) plays a small role in advocating, educating and encouraging in the cycling arena (visit www.bikesintheheights.org). HBC organized three years ago to help make CH-UH more bicycle friendly. Cycling advocates in Shaker Heights recently formed Bike Shaker and are working on the same mission in their city. The Heights Bicycle Coalition (HBC) continues its series of Freewheelin' Wednesday Rides with a kid-themed ride on July 2, a pub-crawl ride on July 16, and a special visit to Park Synagogue on July 30. All HBC Freewheelin’ Wednesday rides start at the Coventry P.E.A.C.E. Arch at 6:30 p.m. Bring a helmet. The Park Synagogue ride combines a bit of outdoor recreation with information about history and architecture. Ellen Petler, membership and program director at the synagogue, will show the group around. Families are welcome. Park Synagogue was designed by architect Eric Mendelsohn, who grew up in Germany and designed some of the modern Berlin department stores that were bombed during World War II. This popular series of Wednesday-evening bike rides returns this year and is a great way to spend summer evenings. The rides are easy, casual, meandering routes through the Heights, and showcase the community. Free Wheelin’ Wednesday rides are free and start at 6:30 p.m. at the Coventry P.E.A.C.E. Arch (corner of Coventry Road and Euclid Heights Boulevard). Each ride features a different theme. After the rides, the group often visits a bar on Coventry. The Heights Bicycle Coalition (HBC) sponsored after-school bike clubs this fall for third-, fourth- and fifth-grade students at Canterbury and Fairfax elementary schools. Club activities included weekly rides of three to five miles on side streets, with a snack at the half-way stop. HBC volunteers Sarah O’Keeffe, Jeff Sugerman—with bike dog Chipper—Mitch Pilon and PTA members help school PE teachers Julie Lustic and Alice Stratton run the clubs. The goal of the clubs is to teach children bike safety and the rules of the road. The clubs also encourage students to get out and enjoy the fresh air. Even the most dedicated bicyclist occasionally needs to haul something too big for a pannier (a bag attached to a bicycle) or a messenger bag. Trailers and special-purpose bikes make human-powered hauling easier. Whether you need to move equipment, clothing, or your kids, there is probably a bike available to do the job. Two-wheeled cargo bicycles with a load on one side can be surprisingly stable, and there are options with three and four wheels, too. As with almost everything related to bicycles, the best solutions are often a blend of old and new technology. One, it’s good for your physical health and is a great stress reliever. Two, it's economical and good for the environment. And three, all the cool kids are doing it. Cyclists fare best when they act and are treated as drivers of vehicles. According to Ohio law, cyclists are permitted to "drive" on all roads except freeways, and are subject to the same rules that apply to all drivers. Cyclists are not motorized vehicles, however, so a few additional Ohio laws apply to the car-bicycle road relationship. This summer, Heights Bicycle Coalition will again host Wednesday-evening rides that showcase our community. These are social rides open to cyclists of all ages. The rides often conclude at a local restaurant or pub for refreshments. May is Bike Month nationwide. The Heights Bicycle Coalition is supporting local celebrations of Bike Month through collaborations with Heights cities, schools and more. All are welcome to participate in free Bike Month activities in the Heights. This could be the summer that you use your bicycle to get around town for errands, commuting to work, and for fun. To enjoy cycling, however, you need to be confident in your skills, informed about rules of the road and about basic bicycle equipment safety. Become a confident rider in a class taught by a League of American Bicyclists certified instructor. The Heights Bicycle Coalition (HBC) is offering a Smart Cycling for adults on Saturday, May 4, 9 a.m. to 12:30 p.m., at Heights High. Riding with others is one of the great pleasures of cycling. The Heights Bicycle Coalition is hosting Free Wheelin’ Wednesday group rides in September, to get folks out on their bikes. The August rides were very well attended. Cyclists ride together, chat and visit interesting places in the Heights. When the City of Cleveland Heights wanted to increase bicycle parking capacity, it wondered where to place more bike racks. To help the city gather input about this, the Heights Bicycle Coalition surveyed its members and other local cyclists about their bike parking needs. Thirty cyclists responded and gave suggestions about locations throughout the Heights. Severance Town Center was most often cited as an place that needs bike racks. One respondent noted that the Severance ring road includes a bike lane, but that bike racks are rare. Riding a bicycle for transportation, fitness, and fun requires a few pieces of equipment: a well-running bicycle, a lock, a basket or bag to carry purchases, and perhaps a helmet. However, the most important piece of equipment a cyclist needs is the skill and confidence to operate a bicycle safely and predictably in traffic. If you are new to cycling or returning after many years of car-focused transportation, consider how you will develop the skill and confidence needed to really enjoy cycling. Joining small group rides offers opportunities for new riders to develop cycling skills. But enrolling in bicycle driver’s classes at the Ohio City Bicycle Coop (OCBC), 1840 Columbus Road, Cleveland, is the best way to learn and practice cycling skills. With gasoline prices near $4 a gallon, using a bicycle for transportation is more attractive than ever. In addition to the economic advantages, cycling is a great way to exercise while also doing errands or commuting to work. In city traffic, cycling can be almost as fast as driving a car. The average new-to-cycling woman can ride one mile in 5-6 minutes, which means she can cover 10-12 miles in an hour. More experienced cyclists can ride at 15-18 mph.